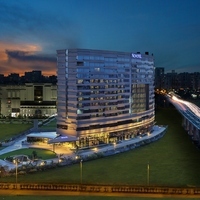 Accor became Accor Hotels, bearing the all new motto - ‘Feel Welcome’. The company has progressed from owning one hotel in one city to operating 32 properties in 1 countries across the world. It is the only hotel chain that truly encompasses all price segments from pocket-friendly to plush luxurious ones. Hoteliers Paul Dubrule and Gerard Pelisson strategized extensively regarding the development of the brand. Resisting the urge to remain just another luxury brand, the pioneers focused on increasing economic accommodation options and took a risk by investing in a 600-room all-electric hotel. 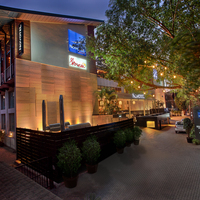 The risky venture paid off and their innovative ideas have ever since revolutionized the hospitality sector. 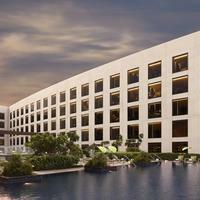 Most Accor Hotels are strategically located, allowing for easy commute to desired meeting venues or tourist attractions. The premium rooms boast of warm timber wood flooring, oversized bath tubs, and optimal design to make your stay here a luxurious one. This also allows you to opt for 2-way airport transfers, in-house club access, a safe, and other facilities as well. Accor Hotel properties have various attractions for young ones to frolic in, while you unwind at the in-house spa or Jacuzzi. With services like concierge, porter, early check in, babysitting, and fitness center, your stay here is guaranteed to be more than just satisfactory. The perfect venue for every occasion, rooms at Accor Hotels are available for meetings, weddings, and other events as well. You have the option to utilize the rooms in theater, boardroom, classroom, U-shaped, or banquet styles. Complete with amenities like Wi-Fi service, conference rooms, currency converter, business center, photocopy and printer facilities, Businessmen can easily conduct their confidential meetings here. 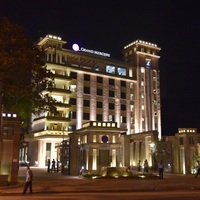 In India, this hotel chain runs 5495 rooms across 18 locations. 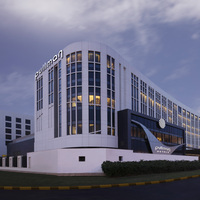 Brands under Accor Hotels like Raffles, Fairmont, Sofitel Legend, So Sofitel, Sofitel, Mc Gallery by Sofitel, Pullman, Swissôtel Hotels & Resorts cater to the premium segment of businessmen and guests. 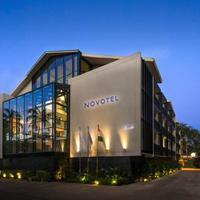 The Novotel, Mercure and Mama Shelter fall under the mid-scale segment and offer superior facilities at decent rates. The Ibis family, namely Ibis, Ibis Styles, and Ibis Budget open up the comfort of top-notch hospitality to all individuals. 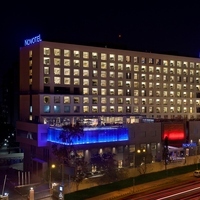 Accor Hotels has several membership options that are associated with their loyalty cards. You may opt for the Classic, Silver, Gold, or Platinum Card to unlock facilities like priority check-in, exclusive discounted rates, later check-out, free Internet globally, room upgrades, and access to the Executive Lounge. With Cleartrip, you can be rest assured to get the best deals and offers. 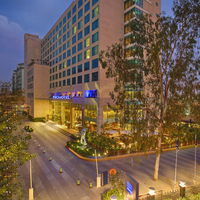 Book your Accor Hotel today on the Cleartrip app to unlock exclusive discounts and enjoy the pay@hotel facility that streamlines your convenient stay experience.